Recently, a reader asked if Premier Financial Alliance was a pyramid scheme. Premier Financial Alliance is a very secretive company. Here’s what I found out about it. Is Premier Financial Alliance a pyramid scheme? Premier Financial Alliance may be a pyramid scheme. According to allegations of an ongoing lawsuit, Premier Financial Alliance earns all of its revenue through recruitment. When a company earns most or all of its revenue from recruitment, by definition, it is a pyramid scheme. In this article, I show why Premier Financial Alliance might be a pyramid scheme as defined by the Federal Trade Commission. And why you would be wise to avoid it. Why Premier Financial Alliance May be a Pyramid Scheme. 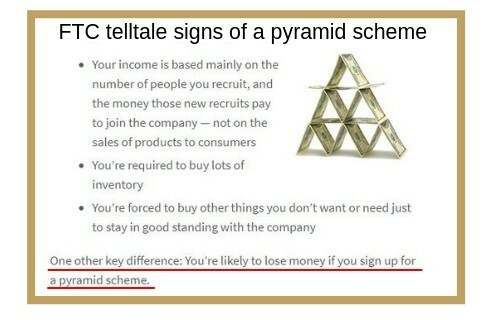 The Federal Trade Commission lists the telltale signs of a pyramid scheme on their website. You can find the original article here. Below is a screen capture from the FTC website. There are two facts about the FTC warnings on pyramid schemes I feel are most important. These are how pyramid schemes are dependent on recruiting and how you will probably lose money if you join a pyramid scheme. Remember these points because the ongoing lawsuit alleges Premier Financial Alliance is an “egregious classic pyramid scheme.” More on that in a moment. In typical pyramid scheme fashion, the Premier Financial Alliance website sells a dream of financial independence. 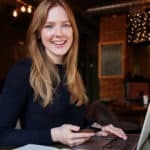 The Premier Financial Alliance website does not have information about what Premier Financial Alliance is, what it does and how you can make money with it. Most of what you will find on the Premier Financial Alliance website is airy-fairy claims and testimonials about making a lot of money. There is no substance. The lack of information on the Premier Financial Alliance is highly suspicious and forced me to go to third-party sources for information. Incidentally, when a company is evasive about who they are and what they and tries to get you excited about their “opportunity,” they are selling a pig in a poke. Legitimate companies that have something of value to offer do not play that game. My sources include copies of the lawsuit documents and Premier Financial Alliance complaints found online. If the prosecuting attorney claims Premier Financial Alliance earns 100% of its revenue from recruitment, that attorney must be extremely confident he can prove that claim in court. All they have to offer is a so-called business opportunity. Once you are in, you then discover that to make money you must recruit other people into the scheme, who then must recruit people into the scheme. This strategy is fundamental proof that Premier Financial Alliance is a Pyramid Scheme. They may or may not have a product. If there is a product, its purpose is only to justify the transfer of money from the bottom of the sales organization to the top. Another key indicator of a pyramid scheme is most of the money the organization earns comes from selling products to members of the organization. Little to no money is made by selling the product to people outside the organization. I found no evidence Premier Financial Alliance has any retail sales. Premier Financial Alliance Sells a Dream. The purpose of selling you the dream is to make you emotionally hooked to whatever Premier Financial Alliance is selling. They try to make you so greedy for their pig in a poke that you hand over your money without asking any questions. A Pyramid Scheme and an MLM. The difference between a pyramid scheme and a legitimate MLM is how they earn their money. A pyramid scheme earns most, if not all, of its money by recruiting people into the scheme. 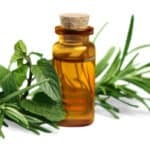 A legitimate MLM earns most of its money by selling retail products. 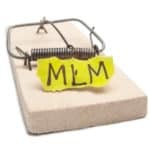 Many pyramid schemes pretend to be an MLM and may offer a product. However, the product is usually very expensive and difficult to sell. Because the product is so expensive the only way to make money is to recruit people into the scheme and sell them expensive product packs under the pretense that they need it for their business. On its website, Premier Financial Alliance does not claim to be an MLM and there is no mention of a compensation plan. Premier Financial Alliance No Refund Policy. You won’t find out much about the company until after you pay their association fee. It costs $125 to join Premier Financial Alliance. This fee is non-refundable. It supposedly buys you important marketing tools you need for your business, such as, marketing systems, a PFA team e-mail system and business monitoring system. Prosecuting attorneys filed a Class Action lawsuit in United States District Court in the Northern District of California on June 25th, 2018 against Premier Financial Alliance, David Carroll, Jack Wu, Lan Zhang, Bill Hong, Rex Wu and National Life Group Insurance Co. The lawsuit against Premier Financial Alliance alleges that the company operate a classic pyramid scheme and has never sold anything to retail customers. Lack of retail sales is a sure sign of a pyramid scheme. The lawsuit continues with allegations that Premier Financial Alliance earns all of its revenue through recruitment. When a business earns most or all of its revenue from recruitment, it’s a pyramid scheme. The lawsuit shows that tens of thousands Premier Financial Alliance associates did not make money as promised. As alleged in the lawsuit, the business model promoted by Premier Financial Alliance is unworkable and dooms associates to failure. The business model rewards recruiting over selling expensive insurance products. The lawsuit specifically states that more than 95% of Premier Financial Alliance associates lose money and that the only people making money are the promoters. As if evidence of a pyramid scheme was not enough, the lawsuit claims the promoters of Premier Financial Alliance used lies and deception. They promised potential recruits they could easily become wealthy and enjoy lavish vacations and luxury cars. As a matter of record, the lawsuit claims Premier Financial Alliance promised recruits they could earn over a million dollars with just one sale. Is Premier Financial Alliance a Scam? Premier Financial Alliance is a scam. It uses secrecy, lies and deception to trick people into paying a $125 non-refundable association fee. Can You Make Money with Premier Financial Alliance? You will not make money with Premier Financial Alliance. You will lose money. The only people who make money with Premier Financial Alliance are the mid-level and higher associates. An ongoing lawsuit filed in California alleges that more than 95% of people who join Premier Financial Alliance lose money. If you have experience with Premier Financial Alliance or insight into the company, please leave a comment below. Thank you. This is an excellent product review with all necessary information about “Premier Financial Alliance”. 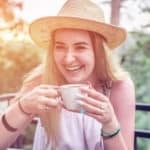 After reading your review, I have understood that this is a perfect scam which only cheats all beginners who want to learn and earn a consistent income. I am going to share it with my other friends also. Thanks for sharing this helpful information. Pyramid schemes are way too bad. I remember when I invested in a certain platform many years ago and they promised to pay us high profit as our Return on Investment but not know that it was a pyramid scheme and few months later the company collapsed and I lost virtually all my investment to the platform. This article is a sincere belief so I would not say otherwise. PFA is just like every other MLM program you pay to join. The plan depends on you persuading other individuals to sign up and to part with their cash also. In order for everybody in the plan to make a benefit there should be an unending supply of new individuals which makes it illegal and very risky to me. It’s good to have people like you educate newbies who are seeking legit means of making an income online. When I first started, I did not take time to research programs and read reviews online before jumping in. I got my fingers burnt multiple times before becoming more careful with online opportunities.When a company requires me to make recruitment before earning, I always see that as a red flag. Although in some cases, the owners are so cleaver in masking their objectives, and making it seem like you can earn without recruiting. I fell for one such scam last year. According to my referrer, you are not expected to recruit before earning. The company has been in existence for 8 years. Just like Premier Financial Alliance, they had no real product and were only selling a dream.Needless to say, I lost all my investment before I could cash out. Lesson learned: If it looks like a duck, quacks like a duck and walks like a duck, it is certainly a duck.Schemes like Premier Financial Alliance are definitely not for me. Thanks for exposing yet another scam and for keeping the industry healthier. I am not a member of premier financial allianice but I do know what their business is about because I was also in the financial services industry for another financial services network marketing company a few years back. They don’t have any retail sales because they don’t sell any physical products. Rather they sell financial advice, mutual funds, life insurance, annuities, etc. As far as I am concerned, I would never go back into this industry both network marketing wise or financial services wise as I know that I am not acting in the best interest of the people. I always felt sleezy when I was in that role. 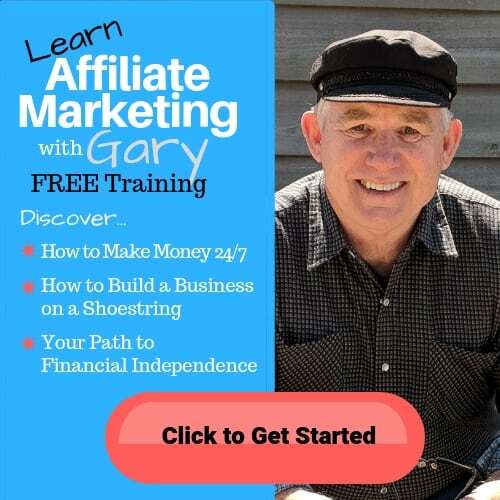 Hey Gary, you made a great point “A pyramid scheme earns most, if not all, of its money by recruiting people into the scheme.” I couldn’t agree with you more. I’ve been involved in pyramid schemes and the whole basis of what they want you to do is recruit people. The product is used to try to legitimize what they are really doing. Most of the products is stored in people’s garages because people don’t want them. Now that digital products are available, they use that as a way to recruit people into these pyramid schemes. In most countries pyramid schemes are illegal, so you could face legal consequences if you make money with a pyramid scheme. Also, you only make money in a pyramid scheme when other people lose money, so there is the ethical issue as well. The only way to make money with a pyramid scheme is to at or near the top of the organization. That usually means you need to be one of the guys who started the scheme. Thanks for the review Gary and appreciate looking into this. I am usually wary of “Financial MLM’s” what value are those companies providing and there is never an actual product. Hope everyone looking to get into an MLM and especially Premier Financial Alliance checks your review out before it is too late. It’s best people do their own due diligence before getting into any type of MLM before giving someone their money. Man, it appears you are on a mission to expose these snake oil salesman, and it is much appreciated. Many people out there fall victim to their own greed, hoping to make a quick buck for little or no work. As you have shown, if it seems to good to be true it probably is. Nothing but dedication and hard work are going to get you to where you want to be.